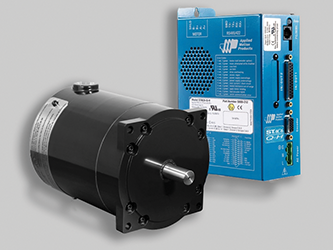 Said to offer high-performance motion control in the challenging environments of oil, gas, printing, and paint finishing applications, the HX56-100 hazardous location stepper motor from Applied Motion Products features: ATEX and IECEx certifications for Class 1, Zone 1 locations; UL-Listed for Class 1, Division 1, Group C and D locations; and, Type 4X and IP66 rated enclosure. Class I hazardous locations are areas where flammable gases, vapours or liquids are, or may be, present in the air in quantities sufficient to produce explosive or ignitable mixtures. Zone 1, also known as Division 1, defines a hazardous location in which flammable gases, vapours or liquids exist all of the time or some of the time under normal operating conditions.